The condition is poorly understood by audiologists in my experience: there is a greater appreciation of the condition by AIT Practitioners than by audiologists, with a few exceptions. It is not always clear whether it is an exaggerated response by the nerves of hearing or whether it is more appropriate to describe it as an exaggerated response by the listener – in the sense of …”if a leaf falls in the forest and there was nobody to hear it, was there a sound?..” debate. Response To Loudness: There is a condition of exaggerated subjective response of loudness by the ear or the the listener who has an Audiogram or Listening Test that is within normal limits, i.e. between 0 to 20 dB. The person still finds certain sounds are abrasive, painful or irritating. Hypersensitive Hearing: There is a condition of hyperacute hearing is shown by behaviors in children, including covering their ears when certain sounds or made, or stimming in children with autism. If testing is done with an audiogram, this is shown by a hearing threshold above the 0 dB line. Hyperacute hearing is sometimes called “bionic hearing” and it can occur on certain frequencies or even on all frequencies. Hearing at hyper levels of -40 dB have been recorded, although most audiometers only test up to – 10 dB. Children and adults who experience everyday sounds at a much louder volume than those with ‘normal’ hearing levels are more prone to experiencing sounds as painful, annoying, distracting or irritating and react accordingly. Everyone can experience painful hearing. The threshold for pain is normally reached around 120 to 140 dB. The area between the hearing threshold (0 to 20 dB) and the pain threshold (usually 120 to 140 dB) is called the person’s “dynamic range”. That is the range of loudness between threshold and pain in which the ear, or the person can hear and process sound for meaning. Acoustic Reflex Spasm: There is a mechanism for protecting the hearing called the “acoustic reflex”, which comes into action when sounds reach the loudness of 80 to 95 dB, although this can vary per person. The tympanic and stapedius muscles of the ossicular chain, the little bones of the middle ear, then clench tightly, impeding the passage of sound to the inner ear. This reflex response thereby protects the inner ear’s delicate cells (cochlear hairs) from damage caused by loud sounds. One can experience sounds at this level as ‘loud’ even ‘too loud’ but not painful. Painful Hearing: There is the kind of painful hearing described for people with hearing loss, as tested in the moderate to profound range – usually from 50 to 90 dB losses or greater. In this type of painful hearing there is cochlear involvement, or inner-ear and nerve hearing loss involved. These people need sounds made louder before they can begin to hear them, but when they do begin to hear – at threshold – the sound is immediately also painful. When the nerves of the cochlea are affected the pain threshold is reached more quickly, For example, a person begins to hear the frequency at 60 dB but experiences pain at 65 dB. This means their dynamic range is only 5 dB as compared to the normal 100 dB or thereabouts. This is what makes adjusting to hearing aids so difficult. 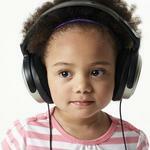 Although all of these conditions involve poor auditory processing, the causes are not from the same origin. We know that these conditions are neurological (cochlea to brain) not peripheral (outer ear and middle-ear). Although Dr. Berard said that in the case where little muscles of the middle ear, the acoustical reflex muscle, go into spasm, thi can cause painful hearing. The causes of hyper-hearing, hyperacusis or sensitive hearing or painful hearing are different and not clearly known. 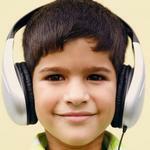 It is known that nerve damage can cause painful hearing both in brain damage or cochlear damage. It has known that nerve hearing loss can cause painful hearing. It is known that hyper sensitivity in general (sensory integration issues) can also be associated with painful hearing. If a person is hypersensitive in one sensory domain, it is likely they will also be hypersensitive in other sensory domains, since it is the processing organ not the sensory organ that is operating defectively. Nutritional problems and neurobiological differences, can be at the root of many painful hearing cases. It has been documented that low magnesium levels especially can lead to hyper-sensory problems. The supplementation and even mega-dosing with magnesium and vitamin B6, together with zinc and calcium, can over a period of one to three months cause a reduction in the pain of painful hearing. Berard AIT has proven itself effective for many cases and types of hyper-sensitive hearing, with lasting benefits being documented. The benefits of Berard AIT alone, if there is a metabolic issue left untreated, could be limited. When there sensory processing issues, a neurobiological assessment should also be performed to determine if a metabolic problem has caused the issue and still needs to be resolved. There is a tendency for some with painful hearing to wear ear protectors. This has been strongly recommended against by Dr. Berard, since it exacerbates the problem. The relief is short-term but the negative effects lasting. When person doing AIT treatment has to expose themselves to sounds that cause them great distress, ear protectors may be used briefly, for very brief periods only or it will likely worsening the situation.